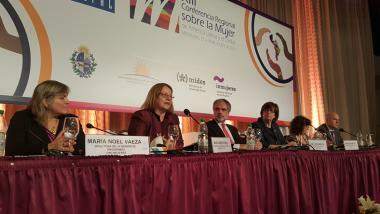 The Thirteenth Regional Conference on Women in Latin America and the Caribbean is convened by the Economic Commission for Latin America and the Caribbean (ECLAC), the Ministry of Foreign Relations of the Oriental Republic of Uruguay and the National Institute for Women of Uruguay. On this occasion, the Conference will focus on gender equality, women’s autonomy and sustainable development: progress towards implementation. At the Conference, challenges of the Regional Agenda on Gender equality in the context of the implementation of the 2030 Agenda for Sustainable Development will be discussed.